Psychologist Carol Dweck has found that your attitude is a better predictor of your success than your IQ. Dr Travis Bradberry Coauthor of EMOTIONAL INTELLIGENCE 2.0 & President at TalentSmart. Don’t stay helpless. We all hit moments when we feel helpless. The test is how we react to that feeling. We can either learn from it and move forward or let it drag us down. There are countless successful people who would have never made it if they had succumbed to feelings of helplessness: Walt Disney was fired from the Kansas City Star because he “lacked imagination and had no good ideas,” Oprah Winfrey was fired from her job as a TV anchor in Baltimore for being “too emotionally invested in her stories,” Henry Ford had two failed car companies prior to succeeding with Ford, and Steven Spielberg was rejected by USC’s Cinematic Arts School multiple times. Imagine what would have happened if any of these people had a fixed mindset. They would have succumbed to the rejection and given up hope. 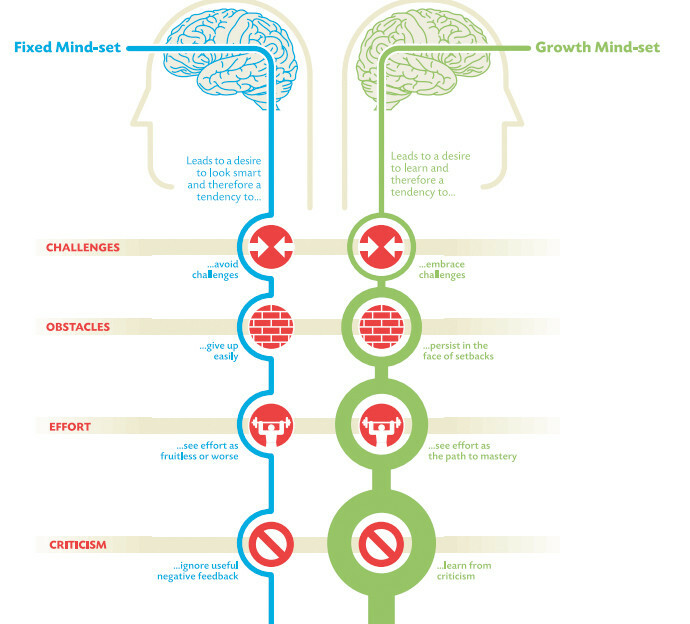 People with a growth mindset don’t feel helpless because they know that in order to be successful, you need to be willing to fail hard and then bounce right back. Be passionate. Empowered people pursue their passions relentlessly. There’s always going to be someone who’s more naturally talented than you are, but what you lack in talent, you can make up for in passion. Empowered people’s passion is what drives their unrelenting pursuit of excellence. Warren Buffet recommends finding your truest passions using, what he calls, the 5/25 technique: Write down the 25 things that you care about the most. Then, cross out the bottom 20. The remaining 5 are your true passions. Everything else is merely a distraction. Don't complain when things don't go your way. Complaining is an obvious sign of a fixed mindset. A growth mindset looks for opportunity in everything, so there’s no room for complaints. Dr Travis Bradberry , Coauthor of EMOTIONAL INTELLIGENCE 2.0 & President at TalentSmart.